Let children become their own weather station and report on the current weather each day. This interactive panel allows children to monitor the local weather over a short or long period. They also learn how to use different measuring tools including a barometer and a thermometer as they actively record readings. 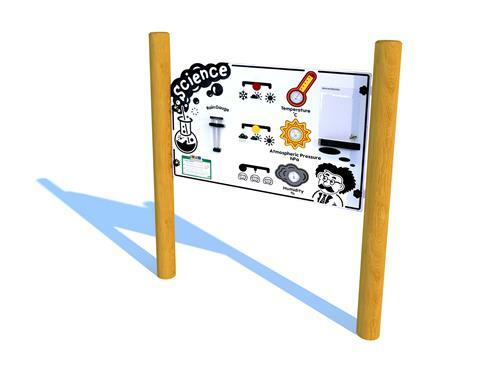 This panel includes an observation white board so that children can keep on top of their findings and better understand when weather changes during particular seasons. Who needs to watch the weather channel when you can create your own?